Growing up, I was very future conscious. I was very conscious that my actions may determine and affect my future. I took my studies and exams quite seriously and was quick to defer playing and enjoyment. The future is there to play and enjoy. This mindset has greatly helped me, no doubt about this. Major life changes like changing location or career wasn't as daunting as it would have been if I hadn't had this mindset, but when exactly is the future; this future we suspend most of our fun and joys for? 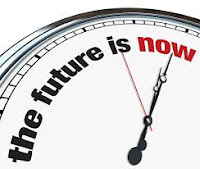 When is the future you will finally relax and enjoy your life? 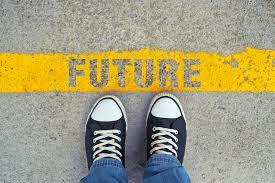 "Well, the future was yesterday, the future is today and the future is tomorrow." When you get to tomorrow, will you look back and see it's been a great journey? The future is now! I'm not saying forget tomorrow but recognize today, recognize today is the future of yesterday and enjoy it. Enjoy your life today and plan for tomorrow, don't suspend living for the future. Every phase of life is important and is to be enjoyed as a student, single, newly wed, at mid career, at retirement and as a grandparent. Don't defer enjoying your life to tomorrow. 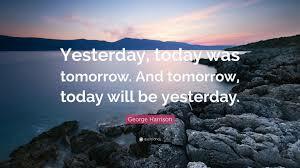 Wherever you are in life, enjoy today, keep an eye for tomorrow but remember today is the tomorrow you thought about yesterday.